List Rules Vote up the famous people who are the most insanely demanding. This list of the most extravagant celebrity on-set demands is all about the most spoiled stars and their most ridiculous requests backstage or at various events. Wishlist? Ridiculous requests? Maybe "completely unreasonable famous-person demands" is apter. Million-dollar buses? Weird food demands? Specific candy color requests? Toilet seats? They're all here. A lot of the stars on this list are musicians, rock stars, and divas. It's hard to say exactly why this is, but it may be more about image than anything else. Rock stars are known for making crazy demands and trashing hotel rooms if they don't get their way, so if a guy who sings well while holding a guitar doesn't also do those eccentric things, is he truly a rock star? Maybe everyone should start a list of their own personal outrageous demands (maybe even use Ranker to make the list?). People get famous fast, like sometimes for no reason at all, so you should be ready for when the time comes that you need these demands met. You don't want to be that famous person who doesn't ask for stupid stuff all the time. Look over this list, be amazed at the most extravagant celebrity demands, and then use them as inspirado for your own. For her appearance in the remake of "What's Going On," a song made for charity, Jennifer Lopez asked for a 45-foot trailer with at least two doors. Wait, the song is for charity? Okay, she said that if a 45-foot trailer isn't available, it could be a 40-foot trailer. But nothing smaller. The trailer needed to have a white room with white flowers and white tables and white drapes and white couches and white candles. Wait, the song is for charity? Okay, she says it's okay if the tables aren't white, as long as they have white table cloths over them. Also, some fruit punch would be nice. XOXO, J.LO. Kanye West has rapped about wealth and poverty, religion and race, love and heartbreak, but it would seem as if there’s one subject close to his heart that he hasn’t wrapped about yet: Cotton. Yes, West won’t allow any of his drivers to wear anything besides 100% cotton. Much has been made of this ridiculous request, but the actual reason for it turns out to be very smart. The members of the band used it as a test, hiding it in the middle of the long document to quickly discern if the venue was paying attention. The idea being that if they had missed the no brown M&M request, they might also miss more important things like audio setup and pyrotechnic safety. Will Smith had a $2.5 million trailer built for himself. 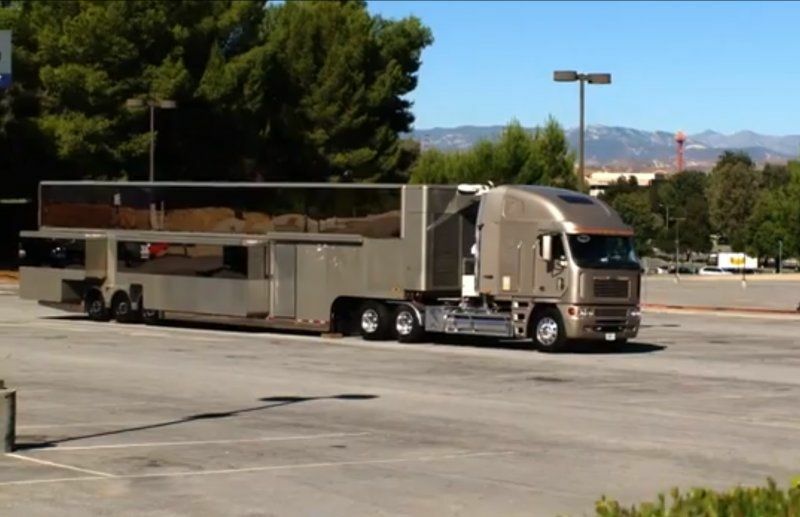 It sits on 22 wheels, has 14 televisions, and $30,000 worth of leather upholstery. It has a full kitchen with $100,000-$200,000 worth of granite countertops. It has sliding doors like on Star Trek, which lead to a wardrobe room. It has pistons that allow it to transform to have a second story, which houses a screening room for watching dailies and generally gettin' jiggy with it. There's a shower in a $25,000 bathroom that has a magic glass door, which can go between opaque and transparent with the push of a button.